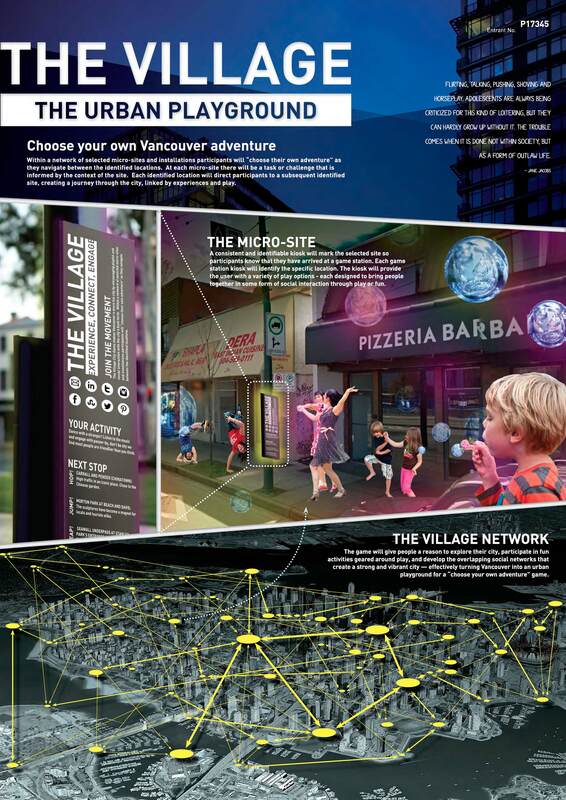 The framework for the proposal were a variety of spaces throughout Vancouver and the goal was to encourage a higher level of sociability in each of these spaces in hopes that the sum of the interactions that occurred resulted in a more socially dynamic city. 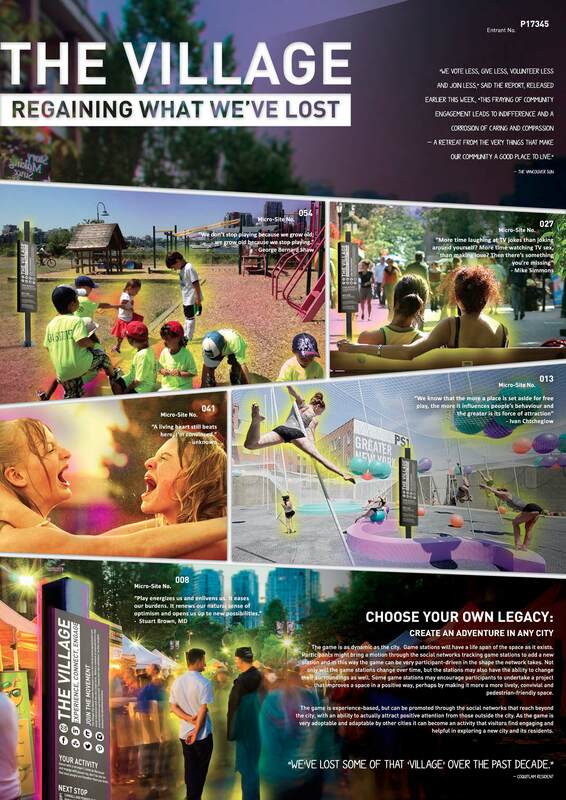 These easily identifiable places, or game stations, provided the user with a variety of play options - all designed to bring people together in some form of social interaction through play or fun. 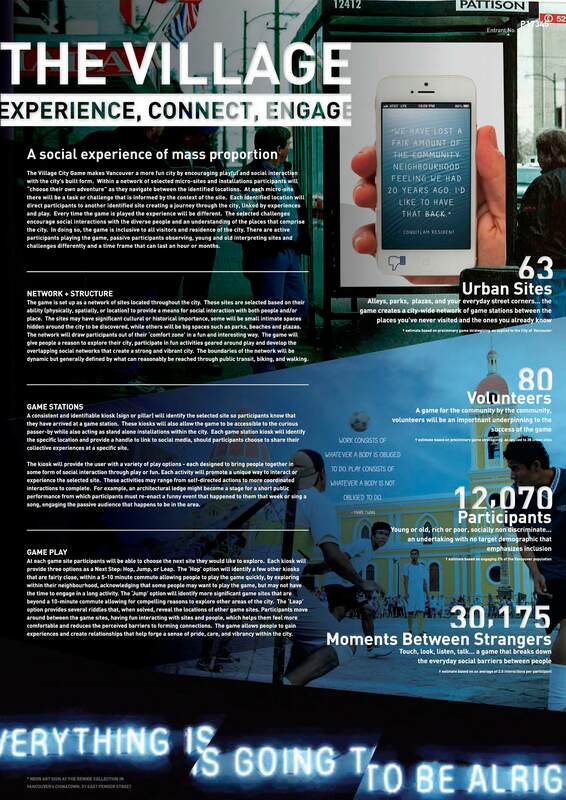 Each activity promoted a unique way to interact or experience the selected site. 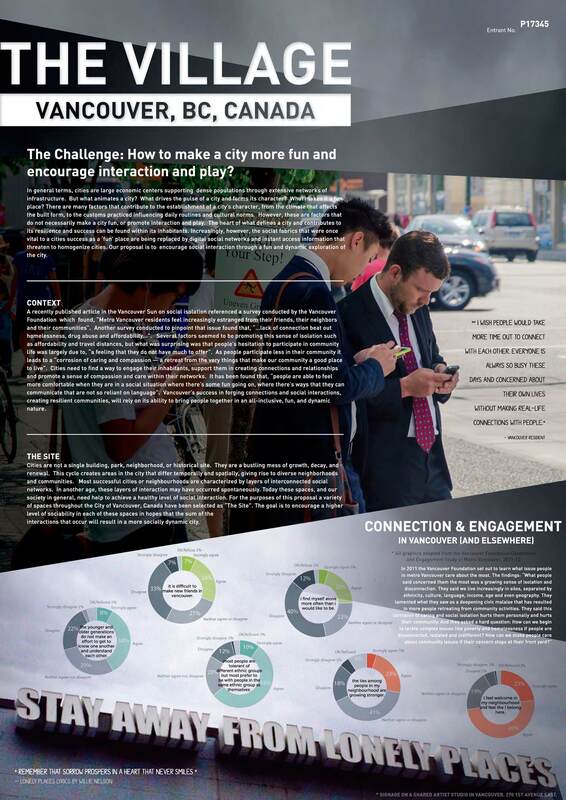 Participants moved within the game sites, having fun while interacting with sites and people, which helped them feel more comfortable and reduce the perceived barriers to make connections. The game allowed people to gain experiences and create relationships that helped forge a sense of pride, care, and vibrancy within the city. Projects in Place feels very proud once again for the work done by all the team members. Even though we did not win, we are very pleased with the proposal, as a main social issue has been addressed and social interaction was encouraged through entertainment. It is always very valuable to better know the place we call home and think of ways to make it an even better place to live. "Projects in Place did a great job. They did a quality green roof installation promptly and professionally. I highly recommended them."